Formula Drift Japan is this weekend at nowhere else but the legendary Ebisu circuit. 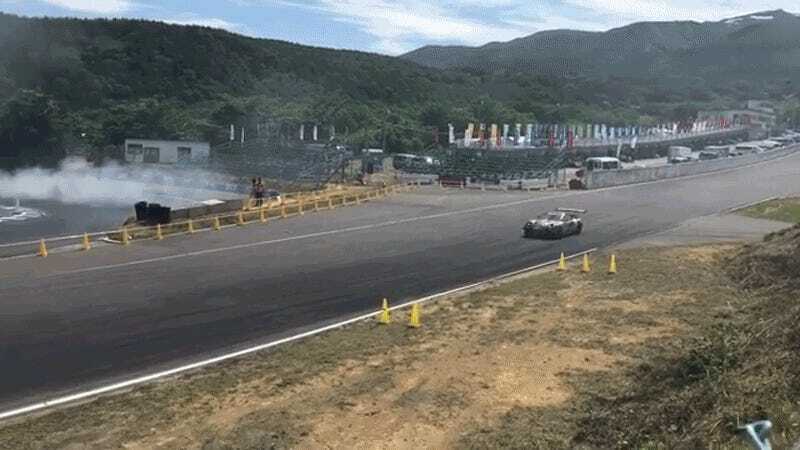 That means Mad Mike is there, and that means that we get to bask in the sights and sounds of a four-rotor Mazda RX-7 doing backwards entries and shredding eardrums. I don’t think that rotary engines are necessarily good. They were designed by a super Nazi. They are largely bad.